University of Westminster Boat Club makes history! The first University of Westminster crew to be entered and compete in the BUCS Head after only 5 months of training! The crew, a Women's Quad who together with their coach Ash Cowley have pushed through this their first season, with many hours of training and a lot of hard work. It's a tough event, and the fact that they got there and that the University Boat Club was able to get a crew together out of a small pool of people is success in itself. The Team did the University proud and hopefully this will spur them on to greater success, highlight rowing as an available sport to all the students of the University of Westminster and encourage more students to take to the river. 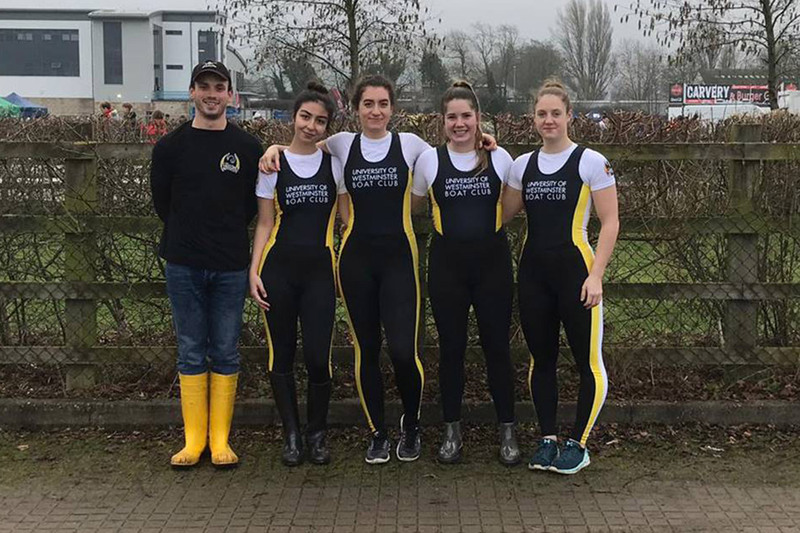 Cowley an accomplished rower who has competed in the England Seniors squad in several disciplines took on the role of Head Coach for the University of Westminster Boat Club this year. Ash, with the support of a great squad has led the club from strength to strength and finally into a position where the club was able to enter its first BUCS competition in its history. Ash took on a challenge at the start of the year and the Club which has struggled in previous years has thrived and developed under his guidance. Check out our projects page for an update on 125 winners 2018.